Welcome to Car Keys. Your local web search for “car locksmith charlotte nc” ends right here. 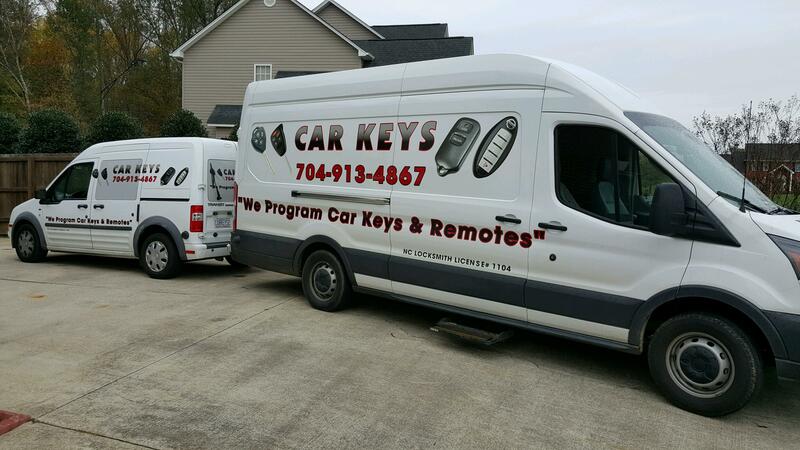 As Charlotte’s premier automotive locksmith, we specialize in car key replacement, car key duplication, car remote keys, emergency locksmith services and more. Lost your car keys? We can make you new ones and get you back on the road in no time! We make, stock and program car keys and remotes for many different car makes and models, including standard/classic metal car keys, high-security car keys, transponder/chip keys, proximity keys (PROX) and keyless remotes and transmitters. Whether you have an older Ford or a newer Prius, our Charlotte auto locksmiths are here to serve you. Locked out of your car? There’s no need to pay the extra expense required to tow it to a dealership, where they’ll probably charge you an arm and a leg to unlock it for you. Our professional Charlotte car locksmiths can provide vehicle lockout services for a fraction of the cost. Our experts are specially trained to fix broken car keys and locks without doing damage to your car. Did your keyless car remote stop working? We can make you a new car key remote and program it so that it works with your car. We are a local company that’s licensed, bonded and insured (License #1104) servicing most of Charlotte and surrounding areas. Call us today, and we will come to your location. We can perform almost any car locksmith job on the spot and on short notice, at a rate that’s more affordable than any other licensed locksmith in the area. Our prices are the most competitive in the queen city. Need immediate assistance? Call us at 704-215-4238. Otherwise, fill out the form on this page for a free estimate, and one of our technicians will be in touch as soon as possible. 7 REASONS WE’RE THE BEST CAR LOCKSMITH CHARLOTTE NC HAS TO OFFER! Before you hire a car locksmith, there are certain criteria you should always look for. Not all Charlotte locksmiths are created equal. There are a lot of locksmiths in Charlotte and surrounding areas who claim to be professionals, but if they don’t meet certain criteria, you’re better off searching until you find the right one. Here are 7 reasons why we’re the best car locksmith Charlotte NC has to offer. #1: Honest. We challenge you to find a locksmith who will direct you to your nearest dealership or recommend an alternative solution if we are not the most affordable and beneficial solution to your problem. It’s very unlikely! We’ve had customers call us before who needed replacement car keys made for their vehicles, and we could have easily taken the job and charged them well over $100. But we know that going to a dealership would actually be a more affordable and faster solution and recommended that instead. 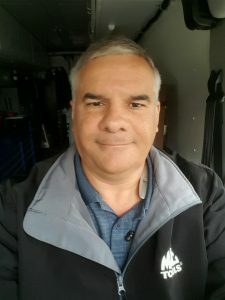 Many people will try to take your money, even when it’s not the best solution for you; but we will be upfront and honest about what it will take to do any job and whether or not you’re better off letting us do it or paying someone else and enjoying significant savings as a result. #2: Mobile. We’ll come to you! If you’re in Charlotte NC, Gastonia or surrounding areas, we’ll make our way to your location and see to it that your problem is solved and you can get back on the road. Locked keys in car? No worries… we’ll unlock your car for you. Did you car key remote stop working? We can program remotes and make duplicates. Whatever your issue, our trained locksmiths are highly experienced with a wide variety of car makes and models, licensed and are always up to date on the latest lock and key technologies. We can help, and we’re excited to. #3: Licensed, bonded and insured. Beware of car locksmith scammers who claim to be professionals but aren’t really licensed. Many of these folks end up doing more damage than good, and your car is a valuable investment. You definitely don’t want someone working on your vehicle if they don’t really know what they’re doing. Before hiring a locksmith in Charlotte, make sure you can obtain and verify their license number. Our license number is #1104, and you can verify that on the North Carolina Locksmiths Licensing Board website. We encourage you to use that site when searching for an auto locksmith. #4: Available 24/7 for Emergencies. Because we’re mobile, we can make ourselves available day or night. You don’t have to worry about waiting until our shop opens to have a new set of car keys made. We can create replacement car keys anytime. We carry blanks in our company vehicle and will travel to you, day or night, in emergency situations. If you need a remote key programmed, we can do that too. #5: Experienced with a variety of makes, models and key technologies. See this page for a list of car brands we make car keys for. Whether you need a standard key, a transponder chip key, a remote key or an even more advanced keyless technology, we know how to create them all. When you call us for a free quote or fill out the form on this page, we’ll tell you exactly what kind of key you need based on your car’s year, make and model. And you can be sure that whatever price we quote you on the phone is what you’ll pay once we arrive. #6: Affordable. We strive to offer the most competitive prices for car key replacement, emergency unlock services, door lock repair and replacement and car key duplication. And if we know there’s a better, faster, more affordable solution, we’ll direct you there instead. (That’s part of our commitment to honesty that we talked about in reason #1!) Our prices are fair and affordable, and most often much less than what you’ll pay at your local car dealership, especially for certain types of replacement car keys. #7: Servicing all of Charlotte and surrounding areas! Whether you’re searching the web for “car locksmith Charlotte NC,” “locksmith in Huntersville NC,” “locksmith Waxhaw NC,” “locksmith Matthews NC,” “locksmith Gastonia NC,” or you need an automotive locksmith in another suburb of Charlotte, we’re here to help! Our mobile locksmiths are available day or night to come to wherever you’re located and will happily do so! Need a Charlotte car locksmith? Call us now at 704.215.4238 or fill out the form on this page for a free quote!